We had two Pams and a Pamela at this month’s Mini Sledgehammer, which almost swayed us to make one of the writing prompts someone named Pam–or a variation thereof–but we held strong with our pre-chosen prompts. Congratulations to Pam Bejerano, who stole the prize! Henry stood staring at the work. It was a live exhibit and the canvass, it seemed, was being attacked by the artist rather than being painted. The man would stand for minutes, neither a muscle nor a strand of hair moving. Then suddenly he would burst into life, throwing, spraying paint, some even hitting the canvass. His grunts and moans of ecstasy made Henry feel he was intruding on a private encounter rather than watching someone paint. Henry turned to see the source of the voice. A young woman stood, watching the painter with an expression he could only imagine matched his own. She was his age, he hoped, with very curly black hair going off in several directions. Her clothes were comfortably disheveled, giving a slight air of purpose in their arrangement. She looked up at him and smiled. She read the name and they both immediately covered their mouths as laughter spilled out. With a dirty glare thrown at them by the artist they quickly turned and ran away. They were still laughing as they stumbled down the stairs into the main lobby. For the first time in three months Henry had been forced to say yes to his co-worker Jake’s insistance on a blind date. Henry usually claimed he couldn’t attend previous attempts to set them up due to scheduling conflicts. But tonight, he and his coworker both were supposed to be at a board meeting that was cancelled, so he was free. And now, here she was. And damn if Jake wasn’t right. As the evening wore on his ease with her made it feel like he had known her forever. They ate dinner at South Park, finishing a bottle of wine then moving into the bar to start another. After that they walked the waterfront, talking, laughing. She did an amazing impersonation of the artist that made him laugh so hard his side hurt. By the time she said she had to go, it was midnight, and he was in love. “Fault?” Henry felt his neck go red. Once, once in his life, he had agreed to a blind date. By the time he made it home that night with one shoe, no money and a broken nose he swore he would never go on a another blind date again. And yet here he was, on a blind date with a woman who was lying through her teeth. “A what?” Of all the stories he expected to hear this was not one of them. “Good looking enough to go on an actual date with?” Henry was fuming. “No.” Helen took a deep breath. “The marrying type,” she said, her cheeks flushing in the street light. “Well?” It was the only response he could find. “I think I’m going to tell her no,” she said as she reached up and gave him a long, slow, kiss. 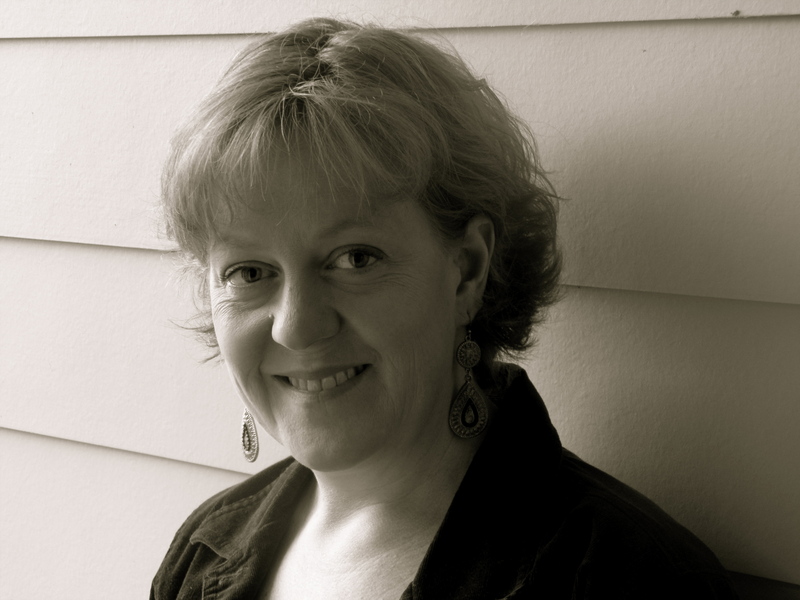 Pam Russell Bejerano is a writer who works as an ESL director in Portland, Oregon. Pam has published a poem and was invited to read a short story at the Cannon Beach Historical Society. She is currently working on a novel to be completed in 2011. Pam’s blog can be found at http://clumsyseeker.blogspot.com/.